24Spoilers.com has a link to video interviews from the 24 series finale wrap party, in which Kiefer Sutherland, Mary Lynn Rajskub, Annie Wersching and Leslie Hope dish about their Jack Bauer universe characters. It’s a fun clip, though also a sad reminder that the May 24 series ender is coming up way too quickly. Sigh. Meanwhile, check out 24Spoilers.com for some other great videos (including a preview of Monday night’s episode that finds Jack at his Jack best in a scene with Jack-wannabe Cole) and some great photos from the aforementioned wrap party in Los Angeles. – Neil Patrick Harris hosting the Emmys … that should definitely happen. – Let no angle in the Michael Jackson story go uncovered: Anderson Cooper got the scoop on Bubbles the chimp last night on CNN. – Speaking of celeb deaths, the sad trend continues for TV stars. Streets of San Francisco star (and Oscar winner) Karl Malden got all the press yesterday, but Broadway, big screen and tube star Harve Presnell – he was Dawson’s cantankerous friend/mentor Mr. Brooks on Dawson’s Creek – died on Tuesday at age 75. – Bravo’s premiering a second season of The Rachel Zoe Project on Aug. 25. – Christian Slater‘s My Own Worst Enemy flopped, but the Heathers star may be headed back to the tube in ABC’s fall drama The Forgotten. Slater would play a cop-turned-private detective whose daughter was kidnapped. – Coyote Ugly star Piper Perabo (a fellow Ohio University alum – Go Bobcats!) has signed on to star in the USA drama pilot Covert Affairs, which sounds an awful lot like Alias. Not that there’s anything wrong with that. – Prison Break star Wentworth Miller will be on the other side of the law – playing an NYPD officer – on the season premiere of Law & Order: Special Victims Unit (Sept. 23, NBC). – Kiefer Sutherland confirms that 24 will shoot some season eight scenes at the real United Nations. 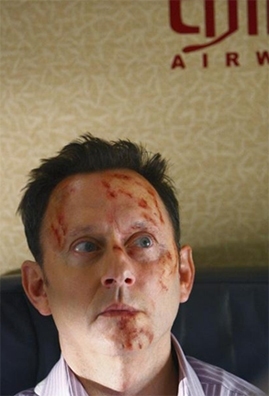 Jack Bauer’s next really long day will unfold in New York City (Jan. 17, 2010). – This certainly trumps the Flintstone vitamin in TV-related pharmacology: Homer Simpson ecstasy. – Billy Mays‘ infomercials will continue to air, and Discovery Channel has planned a tribute to the late pitchmen for July 9. Meanwhile, the New York Times has a rundown of five memorable moments from last night’s Pitchmen season (series?) finale. – There’s official So You Think You Can Dance confirmation that Katie Holmes will be tapping her toes – for a new dance education charity she co-founded – on the show’s 100th episode, July 23. 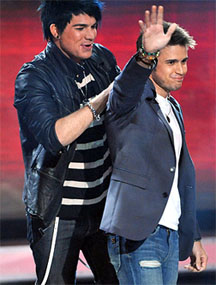 – American Idol producers say there was no funny business with those AT&T text-messaging services that gave Kris Allen fans the chance to throw extra votes his way. You buying it? Well, then, read this story, in which one fan says the AT&T set-up helped her cast more than 10,000 votes for Allen. Whuuut?! – John Lithgow as a serial killer on the new season of Dexter? Brilliant. – Another surprising bit of casting: Freddie Prinze Jr. will play Davis Cole, the new CTU Field Ops head who wants to be just like Jack Bauer (Kiefer Sutherland) on season eight of 24. Not a name that would have popped into my head to play mini-Jack, but 24‘s castings have always been flawless, so I’ll trust that this one will be no exception. – Clearly, I’m not the only one who finds Wipeout charming. And you have to love any show that puts John “Skunk Boy” Henson back on the tube every week. – With the Gosselins‘ problems still major tabloid fodder, USA Today has a rundown of some other famous reality TV families, and the one thing that’s true about all of them: Being on TV only seemed to make their problems worse. – Cindy Brady’s (Susan Olsen) writing a book about the bizarre bit of TV history that was The Brady Bunch Variety Hour. 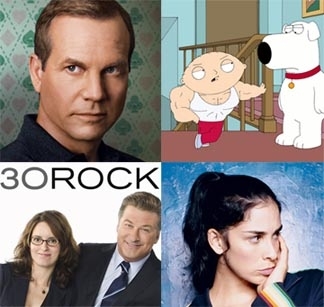 – Now that the networks’ fall skeds are set, they’ve begun recasting some of their pilots. 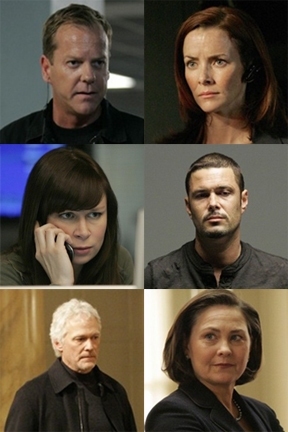 Sorry to see 24‘s Michelle Dessler (Reiko Aylesworth) out of a job. – More 24 news: Jack Bauer and Captain Kirk will be presenting an award at Sunday’s live MTV Movie Awards. – And, this Real Housewives business may quickly spiral out of control. Reportedly also on the list of upcoming spin-offs: Real Housewives of Chicago. Not that there’s anything wrong with that … just that there’s not gonna be much non-Housewives room left on the Bravo schedule soon if they roll out all these rumored spin-offs.